Today, we often think of the Petersen House as the “other part” of Ford’s Theatre National Historic site. But in 1893, a group of prominent Washingtonians had another idea: They planned for the Petersen House to be a national monument to President Abraham Lincoln. 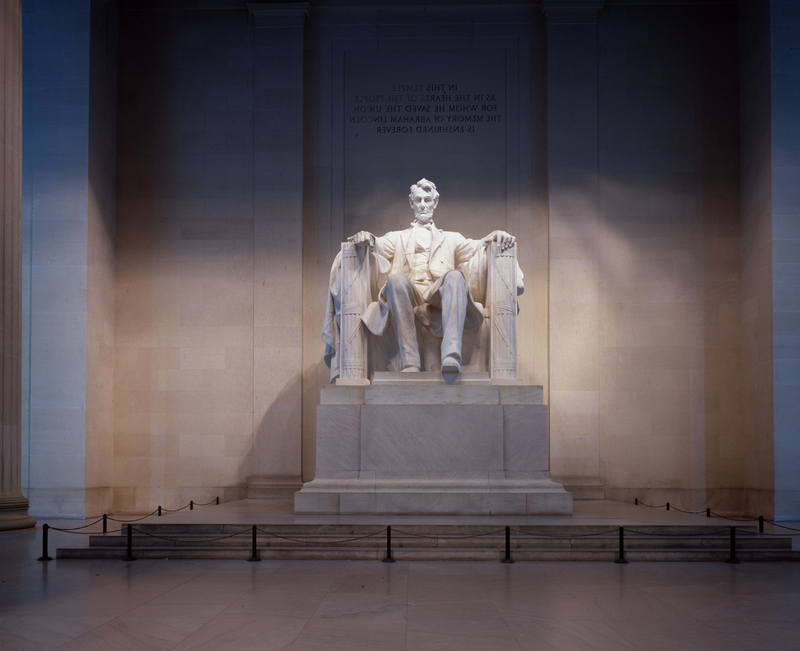 Where To Learn about Lincoln in Washington? By 1893, when visitors came to see the sights of the nation’s capital city, thousands ventured across the Potomac River by boat or on trolleys to pay homage to the country’s first president, George Washington, at his Mount Vernon plantation. But if they wanted to pay homage to the man most considered the country’s other greatest president, Abraham Lincoln, where could they go? They could visit one of the city’s two statues of Lincoln—the first, dedicated in 1868, sat in front of what was then Washington’s city hall in the Judiciary Square neighborhood. The second, dedicated in 1876 with what many consider one of Frederick Douglass’s greatest speeches, sat in Lincoln Park, 10 blocks east of the Capitol. The Lincoln Memorial on the National Mall in Washington, DC. But if those visitors wanted to learn about Lincoln like they could about Washington at Mount Vernon, they were out of luck—the Lincoln Memorial, which includes an exhibition space under the “temple,” wasn’t built until 1922, and Ford’s Theatre didn’t become a historic site until 1932. A Mount Vernon for Lincoln? The Memorial Association of the District of Columbia took on the mission of giving visitors a place to learn about Lincoln in Washington. Formed in 1892, the Memorial Association of the District of Columbia was established to identify, mark and preserve important historic sites in Washington. 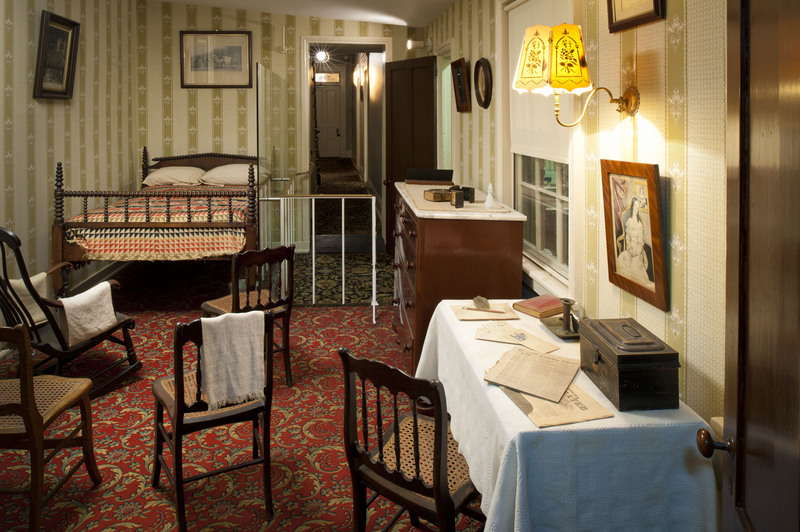 But from the beginning, its literature shows one main site that it desired to preserve: the modest boarding house where Lincoln had died. An editorial in The Washington Post, enthusiastically reprinted as an endorsement in a Memorial Association pamphlet, suggested that the Petersen House could be the equivalent of Mount Vernon—but for Lincoln. Meanwhile, more than 750 miles west, a political drama was playing out in Lincoln’s hometown of Springfield, Illinois. Osborn Oldroyd, an eccentric Civil War veteran, had by that time assembled a 3,000-item collection of Lincolniana—including 1,000 biographies of the 16th president—and was operating a Lincoln Museum in Lincoln’s home. A newly elected governor kicked Oldroyd out of the house, leaving the collector and his large collection at loose ends. The Memorial Association and Oldroyd were a match made in heaven. The Memorial Association raised funds to purchase the Petersen House, and subsequently leased it to Oldroyd to house and display his collection. On October 17, 1893, a who’s who of official Washington flocked to Tenth Street, NW, for the dedication of the Lincoln Museum in the Petersen House. Among the dignitaries present were the vice president, chief justice of the Supreme Court and members of Congress. Inside the Petersen House museum today. Photo by Maxwell MacKenzie. Chief Justice Melville Fuller, who served as the president of the Memorial Association, started the proceedings. Interestingly, Fuller was a Democrat who had managed Senator Stephen Douglas’s presidential campaign against Lincoln in 1860. Senator Shelby Moore Cullom then gave a speech talking about how he had known Lincoln as a young man. I remember, in a memorial speech of Washington it was said that Virginia gave him to America and America gave him to the world. So of Mr. Lincoln, Illinois had given him to America and America had given him to the world and to the ages. It is proper that there should be here a memorial for the children of our land of one of the greatest and, even more, one of the kindest hearted men that ever lived. Following Stevenson, Bishop John J. Keane, rector of the Catholic University of America, discussed the importance of preserving the Petersen House and marking other historic sites in the United States. Oldroyd ran the Petersen House as a museum, even after the federal government purchased the building three years later, until the federal government purchased his collection in 1926 and moved it across the street to a new museum in the as-yet-unrestored Ford’s Theatre. Only then would the site of the assassination, and not the site of Lincoln’s death, become the center of the story. David McKenzie is Associate Director for Digital Resources in the Education Department at Ford’s Theatre. He also is currently a part-time History Ph.D. student at George Mason University, studying 19th-century U.S. and Latin American history, as well as digital history. Before coming to Ford’s in October 2013, he worked at the Jewish Historical Society of Greater Washington, The Design Minds, Inc. and the Alamo. Follow him on Twitter @dpmckenzie.